Competition in tourism business is particularly high, however small companies are also finding their place here. However, head of the travel agency, which has been operating for 15 years, says that he is often thinking about transferring his business to Estonia, where, according to him, conditions for small business are much more favourable. However, a tax expert dispels this myth. Entrepreneur Udrius Armalis established the company "Udriaus projektai" in 2001. At first, he provided consultation services to forest owners, which enabled him to travel to many places in Lithuania. In addition, his hobby was narrow railways, which have many enthusiasts abroad, but no active ones in Lithuania. Therefore the entrepreneur decided that it is worth showing the narrow railways of Lithuania to foreigners. Negotiations were carried out by U. Armalis for two years, until finally a small Swiss group agreed to come to Lithuania. In addition to the main narrow railway of Aukštaitija, they were also invited to visit others: Sulinkiai, Rėkyva and Pabalvė. After a year, these activities were in full swing when, after receiving a recommendation from the Swiss, a German tourism company decided to believe in the initiative of U. Armalis. The latter remembers that, at that time, competition was not as high as today when he took his first steps in travel organization. These activities were also more profitable at the time. According to U. Armalis, competition significantly increased approximately seven years ago. When asked about the influence of the introduction of the euro on travel prices, the entrepreneur assured that they have decreased. "The euro even made travel prices relatively cheaper. Since a significant number of transfers have to be made to international companies, the costs of bank services have also significantly decreased. Foreign travel agencies did not change their prices, only Lithuanian travel agencies are gradually raising them", – says U. Armalis. The spokesman says that he himself focuses not only on good prices, but also on high quality services. According to him, this is the only way he manages to survive, and the company's customers often return each year, as well as recommend the company to their friends. However, he also adds that not much tourism is left in his activities after so many years of holiday travel organization. "Currently there is less tourism and more mathematics, since you have to think about all the flights and other options", – says U. Armalis. The entrepreneur is happy that his company is gradually growing and already has four employees, however, the aim is to become at least a medium-sized company. However, U. Armalis thinks that it would be easier to do so outside of Lithuania. "It is unfortunate that the approach of government institutions and partners to small business is killing it. Lack of competence of state institutions is flowing over the edges – classic oligopoly has formed in the holiday travel market, but the Competition Council does not see this. The tourism law pushed all the travel agencies outside of the law, and the law itself is prepared so that now new organizers can come, but the Tourism Department does not see this. The Tax Inspectorate does not notice the billions that are pumped through offshore companies, but gladly punishes small companies. And the suppliers also earn 10 euros by selling 1000 units of products to a shopping centre, and earn 1000 euros by selling the same 1000 units to a small business. In reality, currently we have no more small pharmacies, shops, cafes and bakeries", – says U. Armalis. 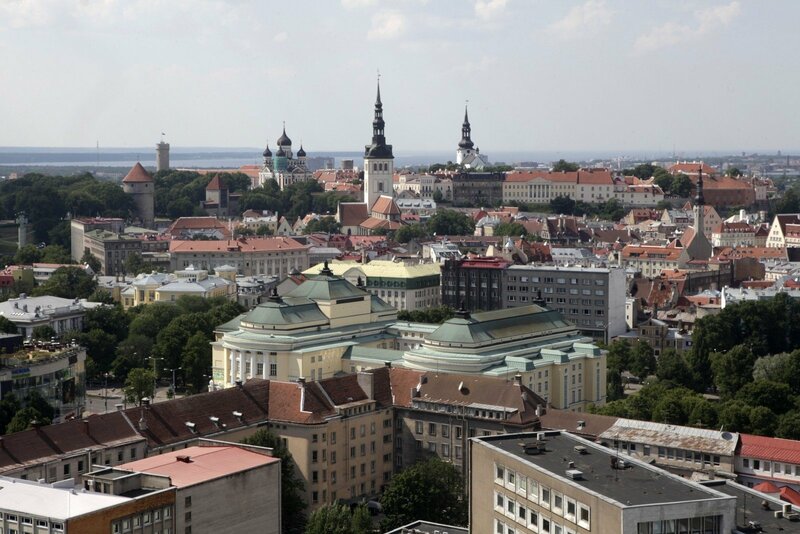 According to the spokesman, Estonia has much more favourable conditions for small business, therefore he is considering this country for some time now. "As the movie says "No country for old men", we can rephrase this to no country for small companies, i.e. small business. You can almost breathe lighter when you go to Estonia. When evaluating the current possibilities, you can assume electronic citizenship of Estonia and move there. If you have noticed, Estonia does not have as many chain restaurants and cafes. They do not just simply copy", – says U. Armalis, while describing the features of this country that are attractive to him. When asked how much does it make sense for businesses operating in Lithuania to take advantage of the e-citizenship available in Estonia, Laimonas Marcinkevičius, an international tax expert and lawyer of the law firm Marcinkevičius and partners "JURIDICON", ensured that it is worth doing so only when investing and creating business in that particular country. "If business is carried out only in Lithuania and, in reality, there are no plans to move to Estonia, e-citizenship is not the right solution, and may even be dangerous. Since only the name of the company would be transferred to Estonia, and the company's operation would still be carried out in Lithuania, it would be necessary to register the company's address in Lithuania and still pay all the taxes according to our country's laws", – says L. Marcinkevičius. According to the spokesman, Lithuanian entrepreneurs often get burned due to the fact that they do not research the procedures valid in Estonia, and give in to the illusion that there is no income tax in the neighbouring country, even though only undistributed profit in not taxed there. "They establish Estonian companies, start their activities and later often realize what large amount of taxes they accumulate by delaying tax payment. On the contrary, I would say that business in Lithuania has larger possibilities to survive and grow, since tax rate is lower, and entrepreneurs have more freedom by being able to choose whether to re-invest their profit or pay out dividends", – says L. Marcinkevičius. The expert adds that by currently investing their money in Lithuania, entrepreneurs can decrease taxable profit by up to 50 percent, and it would make sense to increase this percentage. "It is likely that then we would have more investment projects in Lithuania, business would acquire more long-term assets, would expand its possibilities, increase its capacities, and implement technologies protected with international patents for inventions", – says L. Marcinkevičius. He also named two essential differences between the taxation of small business in Lithuania and Estonia. According to him, the first difference is the income tax rate. It is almost twice as high in Estonia and, in reality, reaches 25.32 percent, whereas it is 15 percent in Lithuania, and 5 percent for small companies. 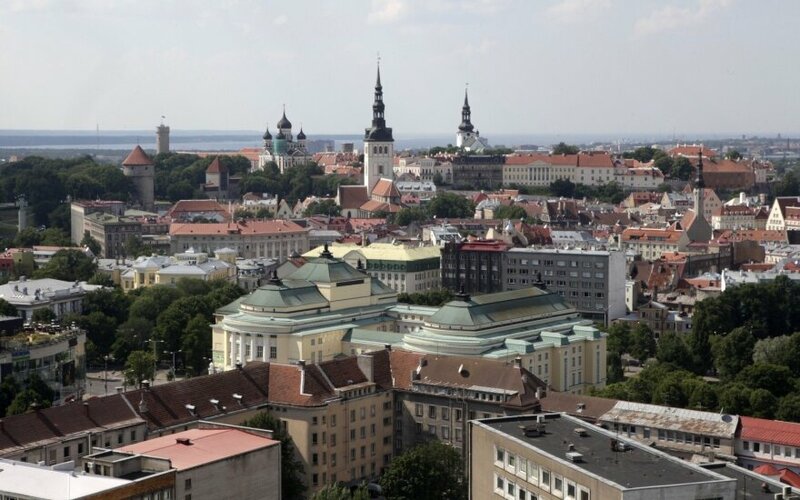 "Secondly, the income tax in Estonia is paid when distributing profit, and the entire profit earned by an Estonian company is not taxed until it is paid out to the shareholders. Income tax in Lithuania is calculated from the company's tax profit, at the end of the company's financial year. In my practice, I had more than one client who asked for advice on how to "extract" profit from his own Estonian company and avoid high taxes. From the Estonian company's paid dividends, the natural person and shareholder of the company must also pay a 15 percent income tax in Lithuania. Thus, the total tax burden on the shareholder and natural person, receiving dividends from the Estonian company, comprises 36.52 percent ", – says L. Marcinkevičius.